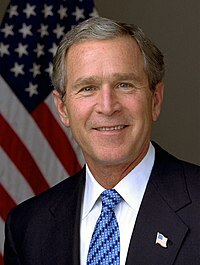 George Walker Bush was an American president, from 2001 to 2009. He is the son of George H. W. Bush. This page was last edited on 23 November 2016, at 11:56.